Apartamentos Florida Plaza are set next to Playa Jardín Beach, in Tenerife’s Puerto de la Cruz. This attractive apartment complex has a large outdoor pool, sun terrace and garden. Each spacious apartment has a well-equipped kitchen area and a bathroom. There is also a living area with satellite TV. The Florida apartments complex has a bar and a games room, as well as a hair salon. 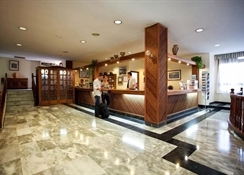 The 24-hour reception desk offers currency exchange and bicycle rental. 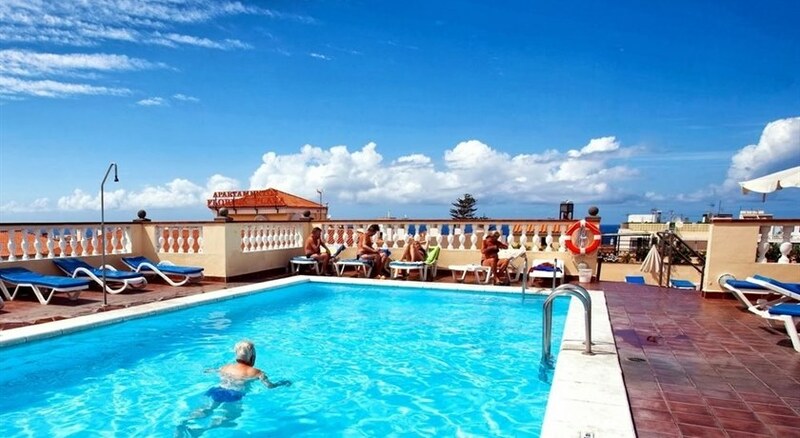 The apartments are set next to the seaside promenade, a short walk from the old town of Puerto de la Cruz. This popular resort has many shops, bars and restaurants. The Florida Plaza offers a 24 hour reception and lobby area, lifts, cafe, restaurant, shop, hairdressers, bar, games room and a TV lounge. The hotel has a swimming pool and a rooftop sun terrace with loungers. The Florida Plaza offers a total of 132 apartments. Apartments feature private bathroom, equipped kitchen/kitchenette, safe (payable locally), telephone and TV. 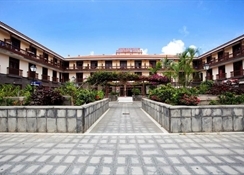 Florida Plaza is situated in the heart of Puerto de la Cruz, close to the Playa Jardin beach and within easy walking distance to the centre of Puerto de la Cruz where there are plenty of shops, cafes, restaurants, bars & pubs. Had a great holiday at Florida apartments. Staff were lovely very helpful. 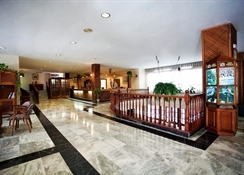 Located in the centre of the old town close to the beach and restaurants.